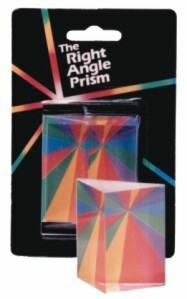 A precision crafted right angle acrylic prism includes instructions to learn secrets of prismatic effects. Made of acrylic which is more durable than glass. The largest side of the prism is 45mm x 50mm.